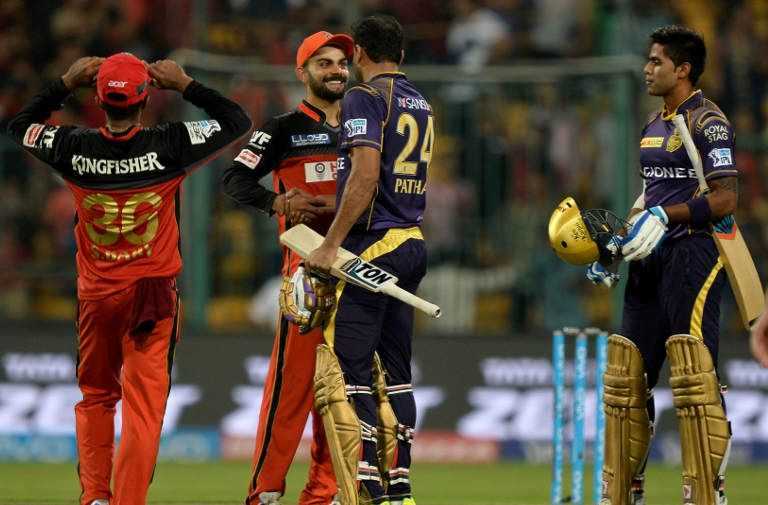 IPL 2019 Match 17 RCB VS KKR: KKR willing to get another victory against RCB whereas RCB struggling to have secind victory of the season. Royal Challengers Bangalore and Kolkata Knight Riders are the two opposite sides of VIVO IPL 2019 standings, one lies at very bottom i.e. RCB and other in top 5 positions. RCB will be once again hosting KKR on the ground of M.Chinnaswamy stadium. The match will be played at M.Chinnaswamy Stadium, Bengaluru. This match will be watched with full cheering crowd at 8:00 PM (IST). M.Chinnaswamy stadium’s boundaries are very small in area. So hitting the scores will be quite easy for the batsman. As well runs can be made with ease because its pitch is batting friendly. But the problem occurs when bowlers with the variation of pacers and spinners. Pitch hardens up the way for the bowlers as it takes up easy on the batsman. Rivalry teams have fastened up their seat belts and have pulled up socks to take each other with tough hands. KKR will look upon the situation of Sunil Narine’s injury as he was on the bench the last match also, his fitness is still in doubt. While RCB will be tearing the whole team and will be coming in front with new faces for one victory. Both the teams have been come a crossed 23 times. And with the purple battalions of riders 23 wins have been in their favor and RCB only left with 9 wins. This match will be some decisive match for RCB performance as in this season all they have been facing is defeats. Virat Kohli’s brigade has not been proving any effective performance in the any of the field either its bowling or batting. RCB first match win was the last action we have seen from them. While KKR is proving themselves a very tough time competing with its splendid team. Virat Kohli (C), Parthiv Patel (W), AB de Villiers, Shimron Hetmyer, Marcus Stoinis, Akshdeep Nath (W), Nathan Coulter-Nile, Umesh Yadav, Navdeep Saini, Yuzvendra Chahal, and Mohammed Siraj.